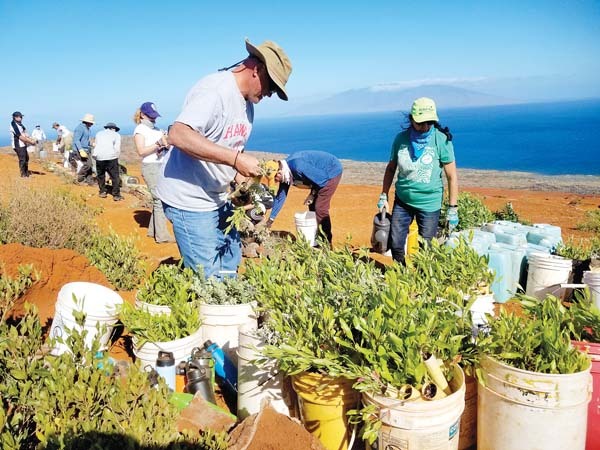 Pukalani Community Association’s first quarterly meeting of 2019 will begin at 6 p.m. Wednesday in the downstairs meeting room of the Mayor Hannibal Tavares Community Center. The program will include a review of the December Christmas Fair and Electric Golf Cart Parade with a slideshow by event photographer Richard MacDonald. There will also be a discussion with the Maui Police Department about the constant fireworks in the area and an update on feral pig damage on properties along the former cane fields. Light refreshments will be served. The meeting is open to the public. The Holoholo Bookmobile’s Spring & Summer 2019 Route Schedule includes stops at community centers in Haiku and Pukalani. The schedule also includes a public stop in Kihei. Printed copies of the Holoholo Bookmobile’s new schedule are available at Maui public libraries. For more information, visit www.librarieshawaii.org, click the “Visit” tab, then “Maui Bookmobile,” or call Wailuku Public Library at 243-5766. The Bookmobile offers books for all ages, DVDs, audiobooks, storytimes, free Wi-Fi, reference help, and assistance with eResources. In addition, the Bookmobile is participating in the Hawaii State Public Library System’s “2019 Winter Reading Challenge” running through Jan. 31. Students who are graduating in 2019 from a public or independent high school in Hawaii are invited to apply for the HMSA Kaimana Scholarship Program. Up to 15 high school seniors will receive a total of $75,000. Applications must be received by HMSA or the Hawaii High School Athletic Association by 4 p.m. Feb. 8 at the HMSA Maui Office, 33 Lono Ave., Suite 350, in Kahului, or by mail: Kaimana Scholarship, HMSA, 8 – COMM, P.O. Box 860, Honolulu 96808-0860. The program recognizes students who excel in academics, athletics, community service, healthy activities and sportsmanship. Applicants must be Hawaii high school seniors with a minimum cumulative grade-point average of 2.75. They must also have played a league-sanctioned sport during at least one of their high school years and must be involved in community service activities. Special focus will be on student athletes in lower-profile sports. Scholarship applications are available at hmsa.com/kaimana and sportshigh.com. The Kihei Public Library will host a dramatic reading by Papa Lopaka (Robert DeVinck) of the Classics Illustrated comic book of Jack London’s “Call of the Wild” at 3 p.m. Wednesday. DeVinck is a writer, English literature scholar and longtime reader of classic books. Following the reading, he will encourage children to read the original book. For more information, call 875-6833. Maui Contractors Women’s Auxiliary donated/sponsored $1,000 for a family of five through Big Brothers Big Sisters this past Christmas. The family has a 10-year-old boy who participates in the mentoring program at BBBS. His 12-year-old sister is a volunteer in the program and the adult son also participates in the program. The family opened one present with the auxiliary in attendance and carried the many remaining gifts home to be opened Christmas Day. John Colson, executive director of Kihei Charter School, will be guest speaker at the Rotary Club of Kihei Wailea noon meeting on Wednesday at Mulligans on the Blue. Hawaii Rotary Youth Foundation scholarships are open to all Hawaii high school seniors who will be attending an accredited four-year college locally or on the Mainland, with each awarded scholarship being $5,000. Every year, two outstanding student applicants are picked by HRYF to receive “in memorial” scholarships in the amount of $10,000 instead of the $5,000 HRYF scholarship. Since its incorporation, through March 18, 2018, HRYF has awarded 1,750 scholarships with a total value of $6,488,313. For 2018, 24 Neighbor Island students from public and private schools were chosen as recipients, as well as another 24 from Oahu. The total awarded amount for the year was $250,000. Applications are open for 2019, with a deadline to apply by Feb. 6. Each applicant must be sponsored by a local Rotary Club. Criteria for selection are based on scholastic and academic achievement, personal involvement on campus, community activities, any employment experience and passion for continuing education. To find out more about the application process and HRYF, visit www.hawaiirotaryyouthfoundation.org or call 735-1073. The Kihei Public Library will host Lego play from 6:30 to 7:30 p.m. Tuesday. All materials will be supplied and Lego creations will remain on display for three weeks following the program. For more information, call 875-6833. SAT/ACT Prep classes will take place Jan. 20 to March 6 from 8:30 a.m. to 12:30 p.m. Sundays and from 6 to 8:30 p.m. Wednesdays at Seabury Hall. The classes are open to all students, not just those from Seabury Hall, and the cost is $395. Twelve sessions will cover strategies in taking the math, reading and language portions of the test, and additionally the science portion of the ACT. The classes will also give students the experience of taking three practice SAT tests, and two practice ACT tests. For more information and to download the registration form, visit seaburyhall.org/sat. “A Well Balanced Student” is the theme of a free parent education session from 6 to 7:30 p.m. Thursday at Kamehameha Schools Maui in Pukalani. This session, for K-12 parents, is aimed at providing information and proven positive strategies to develop the success of the whole child. KSM is working with Challenge Success, whose primary goal is to help students create better balance in their lives by: reducing unhealthy pressures and demands, promoting a broader definition of “success,” and building resilience among students. The program accomplishes these outcomes by implementing proven strategies for effective change, drawing from research data as well as best practices from other schools. Mary Hofstedt, community education director from Challenge Success, and the KSM Challenge Success team faculty members will share information in the Charles Reed Bishop Learning Center on the high school campus. RSVP to tinyurl.com/olapono. Walk-ins are also welcome. For more information on Challenge Success, visit www.challengesuccess.org. Imua Family Services will present its annual gala, “The Carnival de Venice Mascheranda Grand Ball,” beginning at 5:30 p.m. March 30 at the Hyatt Regency Maui in Kaanapali. The event raises funds for early childhood development programs and services that meet the diverse needs of Maui County’s children with disabilities and developmental delays. The Hyatt Regency’s Monarchy Ballroom will be transformed into an elegant candlelit palace replicating the magic of Venice’s carnival, beginning with the “Hearts and Dreams Cocktail Reception.” The evening will feature intimate performances by Tony-nominated actor and singer Denee Benton with special performances by the Hawaii Opera Theatre. In addition to dancers and other performers, a grand prize will be given to the best themed masquerade costume. Individual tickets are $250 and sponsor packages begin at $2,500. For table reservations and sponsorships, call 244-7467. The gala will spotlight Down syndrome, which is a genetic disorder that affects 1 in 700 newborns. Following the main event is “Casanova’s After Party of Lovers” with dancing until 2 a.m.
For more information about the carnival, visit imuafamilyservices.org.